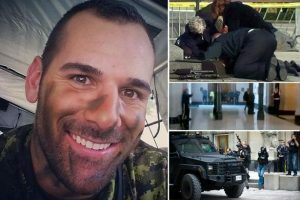 Corporal Cirillo, who was tragically killed in the October 22, 2014 terrorist attack on the Parliament Buildings. The National Citizens Alliance (NCA) believes that the federal government including elected officials and bureaucrats must serve the Canadian people and no one else. In 1976, the federal government abolished the death penalty through Bill C-84. The National Citizens Alliance believes that capital punishment should be permitted in Canada for egregious crimes involving acts of terrorism, mass murder, and child rapes. As a free and democratic society, there must be limits to our humane approach to those people who commit the most serious crimes. Yet, the NCA believes that this moral issue should only be decided by the Canadian people. The Capital Punishment policy statement requires a vote of the NCA membership to be adopted. A minimum 70 percent voting membership must support the policy and with a 50 percent quorum of voting membership as per the NCA Constitution (2014).